In 2010, Max Benavidez, PhD., Adjunct Prof., USC Annenberg, and Assoc VP, CMC wrote an article for the Huffington Post that is, both fortunately and unfortunately, pertinent today. The post imagines Abraham Lincoln in the new millennium, tagging and tweeting with the rest of us. Benavidez shines an interesting light on the former president as he envisions his words to the American public over the holiday season. “Abraham Lincoln never really sent out a Christmas message for the simple reason that Christmas did not become a national holiday until 1870, five years after his death. Until then Christmas was a normal workday although people did often have special Christmas dinners with turkey, fruitcake and other treats. If Abraham Lincoln were president today we can only imagine what he might say in a Christmas message. During the Civil War, he and his wife, Mary Todd, and also their son, Tad, would visit wounded Union soldiers in hospitals. The Lincolns also used their own money to buy lemons and oranges for soldiers so they wouldn’t get scurvy. 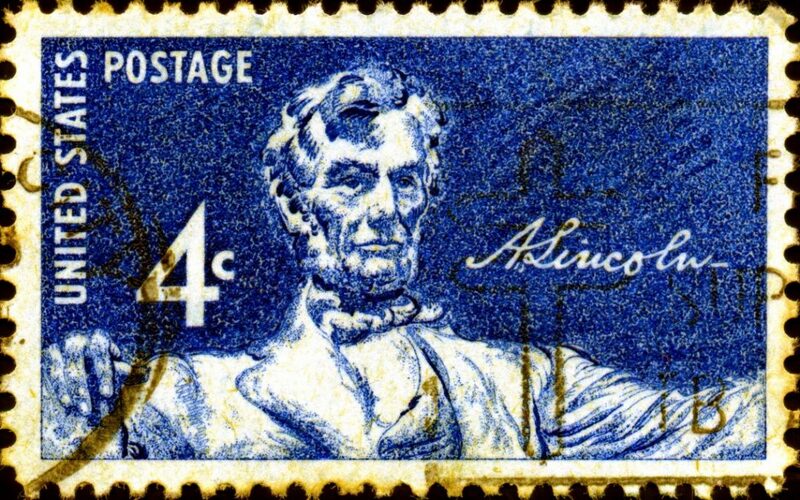 Lincoln was also an innovator and known for using the telegraph to keep in immediate and up-to-the-minute touch with his generals and troops during the Civil War. Today, he would probably tweet and like many recent presidents videotape messages to the country and the troops stationed abroad. He would be sensitive to the trials and tribulations of Americans who are out of work and who have lost their jobs and homes during the Great Recession. Given his deep sense of empathy, he would feel for those who can’t find work and all the stress and sorrow that come from not having a paying job. Like his feelings for the plight of the slaves, Lincoln would probably express a profound understanding for the situation faced by those in poverty during a joyful and generous time like Christmas. As a man of principle but also a clever political strategist, Lincoln would balance his words in such a way that he would acknowledge the pain without making new enemies or revealing any impending political decisions. As we learned from the Gettysburg Address he knew the power of brevity. He also knew that people want to believe in something greater than them. His Second Inaugural Address is filled with the sense of a higher power that knows better than mortal humans what might be best for all. He spoke to that Almighty power and connected that source to the work at hand — bringing the Civil War to its just conclusion. Interestingly, Lincoln did have something to do with the image of Santa Claus, as we know it today. In 1863 he commissioned his friend and former campaign poster artist, the cartoonist Thomas Nast, to illustrate Santa Claus handing out gifts to Union troops. Lincoln wanted to cheer them up. Before Nast, Father Christmas was shown as tall and thin but Nast made him bearded and plump. Besides creating the image of Santa, Nast also created the donkey and elephant images for the Democratic and Republican parties and the familiar image of Uncle Sam. Now, while the notion of a presidential twitter feed is on par with the afore-mentioned holiday fruitcake as far as nauseating the public right now, Benavidez draws to mind the things we love about the vast ways in which we can reach other people. The power in the creativity and direct line of communication one can muster in the brevity of a tweet. The innovative technological advances that have the power to connect us rather than divide us. It seems trivial and naive to wax poetic about our social media platforms, and trust that I am aware of the complexities thereof. However, there is something to be said for focusing on the good. We are kept apprised of the plights and triumphs of our fellow man. Industries take pride in their global reach. Messages of peace spread like wildfire in the wake of international tragedies. Millions watch small-town moments caught on camera. The world is more and more connected. I join Dr. Benavidez in imagining President Lincoln taking part. Though another political Christmas message is bouncing around the media, I’m choosing to focus on the following, as envisioned by Dr. Benavidez. I invite you to join me. In this season of peace and hope arriving at a time of much suffering among many of our fellow citizens, I ask you to take solace in knowing that you live in a nation founded on the principles of fairness and equality and these birthrights shall endure as long as this country stays true to their promise. Our destiny as nation of democratic ideals is still evolving. Remain steadfast in the knowledge that, in time, good conquers evil and truth will triumph. Be patient through these dark days and compassionate for the less fortunate. These difficult times are but momentary ripples in the history of our nation. I extend the nation’s appreciation to our soldiers in distant lands and wish them a swift and safe return home. To our allies I offer our continued friendship. And, to the enemies of freedom and fairness, whether they are within or without, I say that we will never waver in keeping our people free, safe and secure. The pursuit of life, liberty and happiness still guides our journey forth.